KFOR has released a press statement confirming that the situation in Kosovo is under control and that there’s no sign or evidence of possible unrest or violence. “Notwithstanding the numerous appeals to refrain from spreading irresponsible speculations, unfortunately fabricated rumours continue circulating on the media and causing unfounded concerns among the population. 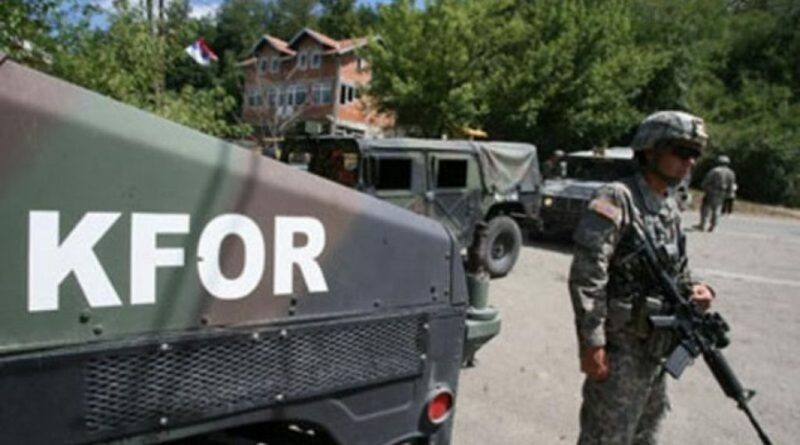 KFOR confirms that the situation in the north, as well as all over Kosovo, is absolutely under control and there is no sign or evidence of possible unrest or violence. According to KFOR, there’s no reason to be afraid of. “In reality there is no reason to be worried and nothing to be afraid of. In those days a group of NATO Officers, escorted by KFOR, is conducting a reconnaissance activity in Kosovo. Those Officers are from different NATO Nations, including Albania. The activity consists in a visit to different places in Kosovo, including Mitrovica and other locations in the North. This is not a provocation, but it is a joint NATO activity, and the presence of 4 Albanian Officers should not surprise anybody since Albania has been a NATO member for 10 years now. Moreover, it should be well known that Albania is also contributing to KFOR mission.